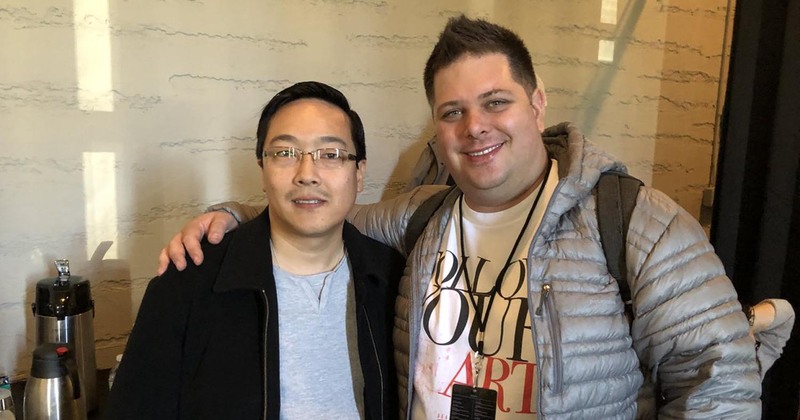 Ricardo Spagni, the project lead of Monero and Litecoin founder Charlie Lee have recently met and two coins are all set for a potential merger. The collaboration between the two cryptocurrencies will pave a path for cross-chain atomic swaps which is the most awaited development for the year. Facebook Inc said on Tuesday it will ban ads promoting financial products and services tied to cryptocurrencies and initial coin offerings. The new policy will be implemented across its platforms, including Facebook, Audience Network and Instagram, the company said. China-based Huobi, previously one of the country’s largest cryptocurrency exchanges, plans to launch an office in San Francisco. Huobi is looking to grow internationally, Chief strategy officer Cai Kailong said, going on to state that “the U.S. will be our focus right now.” A spokesperson for Huobi confirmed that the company is building a new headquarters in the Silicon Valley area but did not offer any further details the office’s purpose. Hackers behind last week’s $530 million cryptocurrency heist — one of the biggest ever — have started to move and are trying to sell some of the stolen “XEM” coins, Jeff McDonald of the NEM Foundation, creators of the XEM cryptocurrency said on Tuesday. He had traced the stolen coins to an unidentified account, and that the account owner had begun trying to move the coins onto six exchanges where they could then sell them. The location of the account was not yet known and McDonald could not immediately confirm how many of the stolen coins had been spent. A real-name trading system for cryptocurrencies became operational in South Korea on Tuesday (Jan 30), with the use of anonymous bank accounts in transactions banned to prevent virtual coins from being used for money laundering and other illegal activities, Yonhap news agency reported. About 3 million people in South Korea are estimated to have invested in cryptocurrencies, and the nation’s six banks have started verifying cryptocurrency investors’ identities, Yonhap said. President Nicolas Maduro said on Tuesday that Venezuela will start the “pre-sale” of its petro cryptocurrency on Feb. 20. Maduro is hoping to capitalize on the success of cryptocurrencies by creating one for Venezuela as the bolivar plunges to all-time lows and the country struggles with hyperinflation. US securities regulators accused AriseBank and its co-founders of operating an “outright scam” in connection with an initial coin offering that claimed to be raising $1bn to fund the launch of the “world’s first decentralised bank”. AriseBank began raising funds in November 2017 through an offering of AriseCoin, its own cryptocurrency, the SEC said. The group claimed to have already raised $600m ahead of the scheduled conclusion of the offering on January 27, according to the SEC. The SEC claims AriseBank along with Messrs Rice and Ford repeatedly lied to investors. The Commodity Futures Trading Commission (CFTC), U.S. derivatives regulator, sent a subpoena on Dec. 6 to both Bitfinex, a cryptocurrency exchange, and Tether, a company that issues a virtual currency, the person said, wishing to remain anonymous because the matter is private. Regulators send subpoenas in order to gather information into a range of inquiries. Reuters could not ascertain what information the CFTC requested from Bitfinex and Tether, or if the CFTC was formally investigating the cryptocurrency platforms.